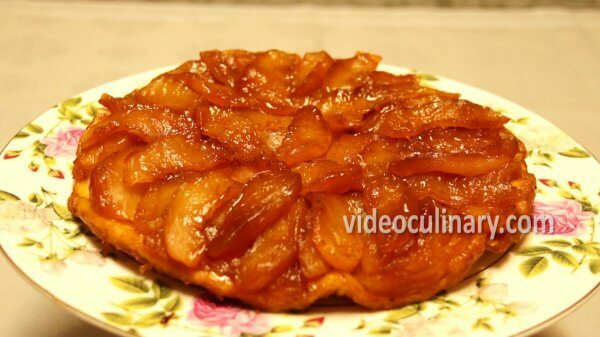 Tart Tatin is a delicious French upside down cake made with apples and caramel. 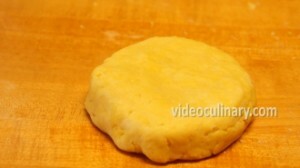 Make the shortcrust pastry dough (pate brisee): Flake 70 grams (2.5 oz) of butter into 140 grams (5 oz) of flour and ½ teaspoon of salt, using a knife and then rubbing it between your fingers, until it resembles coarse meal. Add one egg yolk and 25 ml (1 fl oz) of cold water. 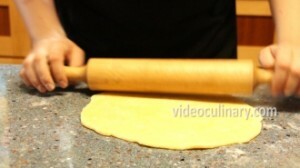 Mix until the dough forms, wrap with plastic wrap and refrigerate for 1 hour. Make the caramel: Gradually add 350 grams (12 oz) of sugar into a heavy bottomed pan, stirring until melted after each addition. 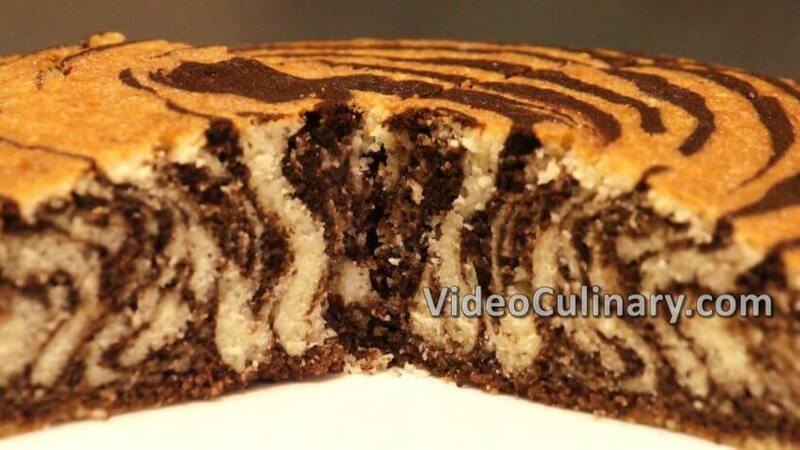 Cook to a rich golden brown caramel. 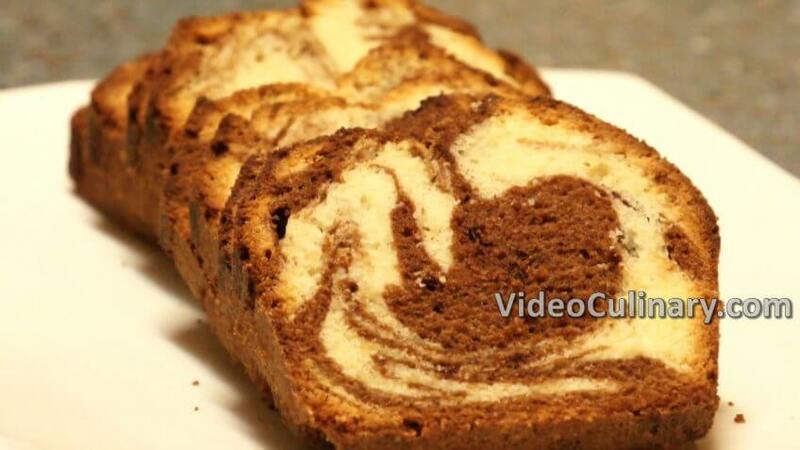 Brush a 24 cm (9.5 oz) cake pan with butter. Carefully, pour the caramel into the pan and cool completely. Peel, core, and slice 6 apples. 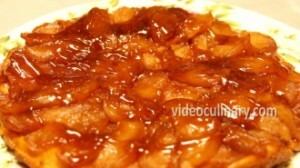 Sprinkle the cool caramel with a pinch of cinnamon and arrange the apples to completely cover the bottom of the pan. 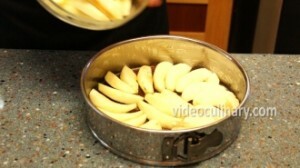 Roll out the dough into a 25cm (10 inch) in diameter round (about 5 mm thick), and place on top of the apples, tucking it around the edge of the cake pan. 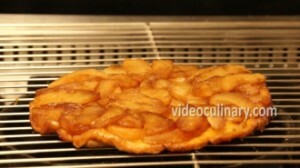 Bake the Tart Tatin at 200°C (390°F) for 40 minutes, until the crust is golden brown. Cool the Tart in the pan for a few minutes, and very carefully invert onto a rack placed over a pan. 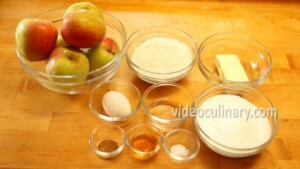 Just before serving, Bring the drained liquid to simmer, add 30 ml (1 fl oz) of apple brandy and pour over the tart. Serve and enjoy! 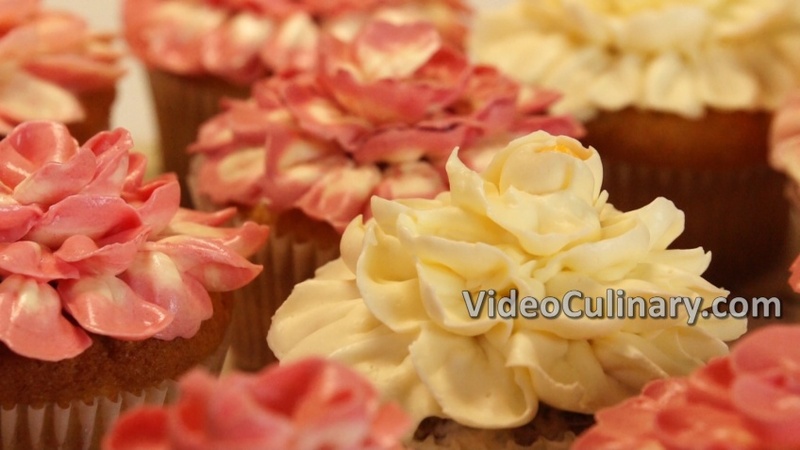 Visit our website for a rose bouquet cake, apple filled danish pastry, Austrian apple strudel and more delicious recipes! Good luck!